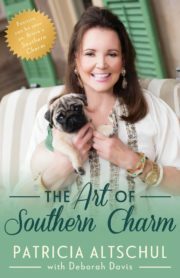 Patricia Altschul has been featured in publications including Vogue, Town & Country, Architectural Digest, People; and she is the surprise break-out star of the Bravo hit reality series, Southern Charm. 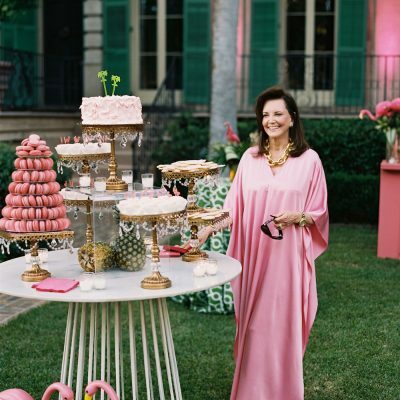 Wise, cultivated, elegant, and funny, Patricia is a consummate hostess and a lifestyle icon whose unique combination of class and sass has endeared her to fans of all ages. Patricia has earned her status as a preeminent tastemaker. She received her Master’s Degree from George Washington University, where she lectured on Art History. She was a highly-successful art advisor who also amassed her own art collection and has served on the board of the New York Historical Society and other institutions. In addition to being an academic and a philanthropist, she has done a life-long tour-of-duty at the top of the social ladder in Washington, D.C., Oyster Bay, and on Manhattan’s storied Fifth Avenue, where she observed–and ultimately dictated–the modern-day rules of civility. Patricia, who really puts the “social” in social networking, has a glorious brain, the best legs, a killer sense of humor, and expertly curates every aspect of her life. Deborah Davis is the author of eight books, including Strapless: John Singer Sargent and the Fall of Madame X, Party of the Century: The Fabulous Story of Truman Capote and His Black and White Ball, Gilded: How Newport Became the Richest Resort in America, The Oprah Winfrey Show: Reflections on an American Legacy, Guest of Honor: Booker T. Washington, Theodore Roosevelt, and the White House Dinner that Shocked a Nation, which won the prestigious Phillis Wheatley Award for best work of History in 2013, and was nominated for an NAACP Image Award, Fabritius and the Goldfinch, which Amazon named one of the Best Books of 2014, and The Trip: Andy Warhol’s Plastic-Fantastic Cross-Country Adventure.